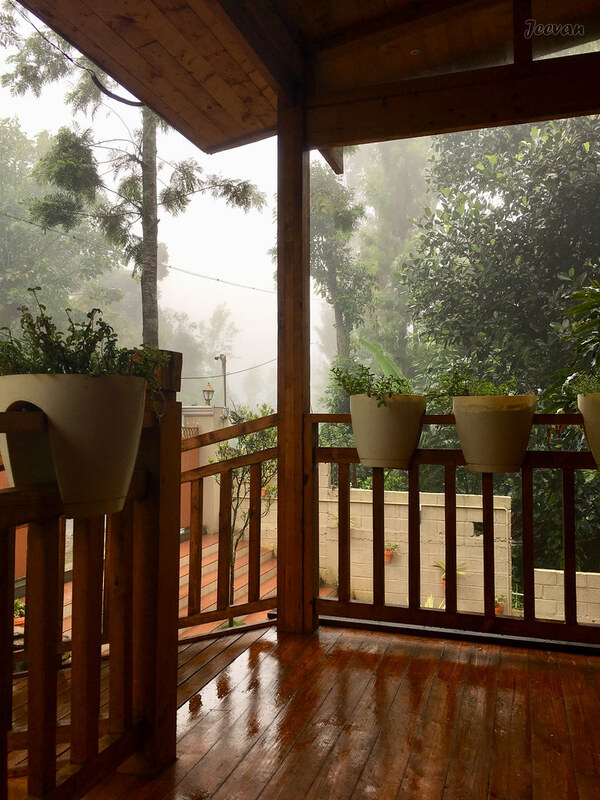 P.s: Haiku inspired by the mist wrapped around my uncle's woodhouse in Kodai, an iphone click on the wooden porch that slightly wet because of mist and rain that locked us last Nov's visit. I love this place! It is my dream to own a small wooden hut in the forests when I have retired and use solar energy to generate the lights & my TV set! Hello, pretty porch. I like your haiku! Happy Monday, enjoy your day and new week! Very creative capture of the lovely porch and light! Absolutely beautiful image and I like your haiku too. Hope you are doing well. How is your mother? Such a cool, lovely view of the mist! Both the haiku and the photo are beautiful. Your haiku captures this scene beautifully!